Nowadays, Amazon Email Gift Cards is a new way to express your feelings for your loved ones. As a trend changes rapidly so instead of giving heavy gifts people are now sending Gift Cards via Email to their friends so that they can buy their choice of products. Every Festive Season, Amazon gives cashback offer on purchase of Amazon Email Gift Cards. All you have to do is make the purchase using Amazon Gift Voucher and the payment is done via your Gift Card. Amazon Email Gift Cards are so popular among people that’s why they are purchasing gifts cards by making payment through credit or debit cards. So, that they can gift it to their loved ones by which they can shop from Amazon without paying anything. Amazon India now and then gives so many offers on Amazon Email Gift Cards so you can also avail this offer and enjoy the cashback on your purchase. This offer is valid on Amazon.in Email Gift Cards only for limited time only. You will get Maximum cashback of Rs 100. Send Email Gift cards to your loved ones and earn cashback as your Amazon Pay balance. No minimum transaction amount to avail the offer. Offer is valid on first Amazon Gift Card purchase. Cashback amount will be credited to Amazon Pay Balance within 5 days of your Gift Card purchase. No coupon code is required. Get an instant 1% off on purchase of more than 1 Amazon Gift Card. The minimum order value to avail the offer is Rs 10000. Cashback amount will be credited as Amazon Pay Balance. Apply coupon code DECFLAT1 to avail the cashback offer. Use the given coupon code at the time of checkout. This Diwali, send an Email Gift Card to your friends and get 10% back in your account. This is a limited time period offer for all the Amazon users. Buy the Gift Card during Oct 9th to Oct 13th, 2017 and the cashback will be credited within 10 days of your purchase. Users will get cashback as Amazon pay balance that you can redeem at your next purchase. The maximum cashback amount is Rs 100 per user and offer is applicable on your Amazon first gift card purchase only. 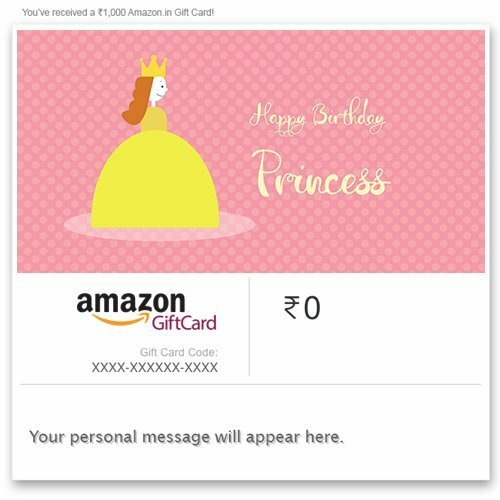 On the occasion of Dussehra, Amazon is giving 5% discount on Email Gift Cards so buy Amazon.in Gift card worth Rs 1000 or above and get Rs 50 off on using promo code GCDEAL50. Use the promo code on the payment gateway or on the Review your order page. The promotional offer will immediately apply to the offer summary. Each promo code can be used once per user. The offer is valid on Amazon.in Email Gift Cards only as listed on the offer page. Similarly in this offer also you can choose the gift cards of your choice and on applying promo code EMAIL200 you will get 5% discount on Gift Cards. This offer is valid from 3rd June to 31st December 2016 only. So use code at the time of payment and avail the discount. 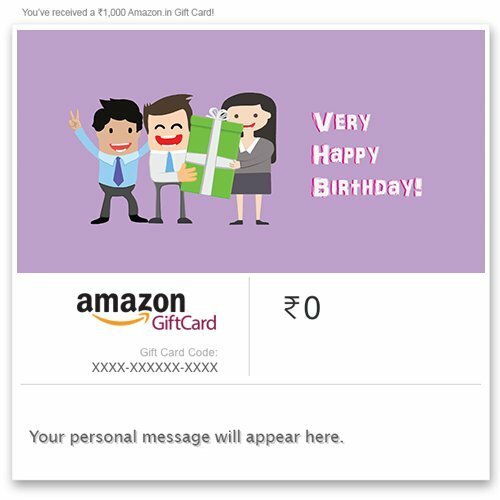 Buy an Amazon.in Email Gift Card worth Rs1000 or more and get Rs200 Off. 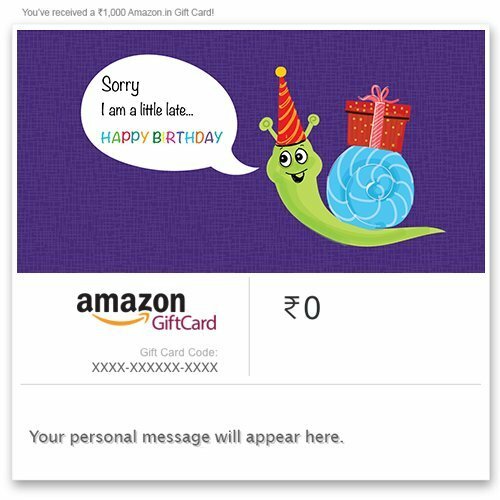 Buy an Amazon.in Email Gift Card worth Rs2000 or more and get Rs100 Off. Buy an Amazon.in Email Gift Card worth Rs3000 or more and get Rs150 Off.